Clinical medicine, Pediatrics, Anaesthesiology, Medical Imaging, Stomatology, Preventive Medicine, Clinical Pharmacy, Medical Laboratory Technology, Medical Imaging Technology,Rehabilitation,Therapy, Forensic Medicine, Pharmaceutical Sciences, Pharmaceutic, Preparation,Sanitation Inspection and Quarantine, Medical Laboratory Technology, Hearing~Speech Rehabilitation, Food Hygiene and Nutrition, Ophthalmology and Optometry, Information management and information system, Marketing,Public Administration, Labor and Social Security, Social Work, Nursing ,Law. Clinical medicine, Stomatology,Rehabilitation Therapy, Pharmaceutical Sciences, Nursing. Physiology, Neurobiology, Biochemistry and Molecular Biology, Human Anatomy and Histoembryology, Immunology, Pathogenic Biology, Pathology and Pathophysiology, Forensic Medicine,Internal Medicine, Pediatrics, Neurology, Psychiatry and mental health, Dermatology and venereal diseases, Imaging Medicine and Nuclear Medicine, Clinical, Laboratory Diagnostics, Surgery, Obstetrics and Gynecology, Ophthalmology, Otorhinolaryngology, Oncology, Rehabilitation medicine and Physiotherapy, Sports Medicine,Anesthesiology, Emergency Medicine, Oral basic Medicine, Oral clinical Medicine, Epidemiology and Health statistics, Labor health and Environmental Hygiene, Nutrition and Food Hygiene, Child Health and Maternal and Child Health, Hygienic Toxicology, Medicinal Chemistry, Pharmaceutics, Pharmacognosy, Pharmaceutical Analysis Course, Pharmacology, Social medicine and Medical Service Management. Stomatology, MPH, Nursing, Pharmaceutical Sciences, Applied Psychological, Internal Medicine, Pediatrics, Neurology, Psychiatry and Mental Health, Dermatology and venereal Diseases, Imaging Medicine and Nuclear Medicine, Clinical Laboratory Diagnostics, Surgery, Obstetrics and Gynecology, Ophthalmology, Otorhinolaryngology, Oncology, Rehabilitation medicine and physiotherapy, Sports Medicine, Anesthesiology, Emergency Medicine, General Practice, Clinical Pathology. Human Anatomy and Tissue embryology, Immunology, Pathogenic Biology, Pathology and Pathophysiology, Forensic Medicine, Medical Neuribiology, Medical Biochemistry and Molecular Biology, Internal Medicine, Pediatrics, Neurology, Psychiatry and Mental Health, Dermatology and venereal diseases, Imaging Medicine and Nuclear Medicine, Clinical Laboratory Diagnostics, Surgery, Obstetrics and Gynecology, Ophthalmology, Otorhinolaryngology, Oncology, Rehabilitation medicine and physiotherapy, Sports Medicine, Anesthesiology, Emergency Medicine, Medicinal Chemistry, Pharmaceutics, Pharmacognosy, Pharmaceutical Analysis Course, Pharmacology. Note: Mbbs for bachelor is in English, it’s better to get IELTS or TOEFL, if don’t have, the school will check your English scores in Senior High school which must be more than 80. Oncology; Internal Medicine(Hematologic Diseases); Surgery (General Surgery); Surgery (Plastic Surgery); Surgery (Neurosurgery); Gynecology; Obstetrics; Human Anatomy, Histology and Embryology; Pathology and Physiopathology; Medicinal Chemistry; Pharmaceutics; Microbial and Biochemical Pharmacy; Pharmacology; Epidemiology & Health Statistics; Occupational & Environmental Health; Social Medicine and Health Management; Social Medicine and Health Administration; Electrical Engineering; Mechanical Engineering; Materials Science and Engineering; Civil Engineering; Control Science and Engineering; Power Electronics and Electrical Drives; Biomedical Engineering; Power Engineering and Engineering Thermophysics; International Trade; Finance; Political Economics; Western Economics; Global Economics; Law and Economics; Linguistic Economics; Regional Economics; Finance; Industrial Economics; Population, Resources and Environmental Economics; Quantitative Economics; Labor Economics; Inorganic Chemistry; Organic Chemistry; Analytical Chemistry; Physical Chemistry; Polymer Chemistry and Physics; Condensed Matter Physics; Pure Mathematics; Financial Mathematics; Operations Research; Computational Mathematics; English Language and Literature; Foreign Linguistics and Applied Linguistics; Environmental Engineering; Environmental Science; Environmental Science; Optical Engineering; Electronic Science and Technology; Information and Communication Engineering; International Politics; Analytical Chemistry; Botany; International Law; Software Engineering. 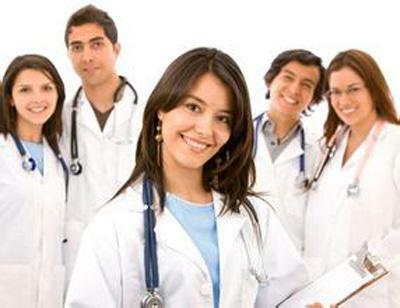 of instruction —MBBS, MBBS/Ophthalmology, BDS, Pharmacy , Nursing, Laboratory Medicine , Biotechnology to the overseas students. English taught: Biomedical Engineering, Ophthalmic Specialty, Pharmacy. Chinese taught: Clinical Medicine, Anesthesiology, Surgery. English taught: Ophthalmic Specialty, Biological Treatment and Reproductive Medicine, Internal Medicine, Biology, Obstetric&Gynecology, Microbiology, Pediatrics. Fine Arts; Art & Craft; Visual Communication Design; Environment Design; Tourism; Management; Human Resources Management; Public Affairs Administration; Nursing; Midwifery; Environmental Engineering; Biological Technology; Applied Chemistry; Food Quality and Safety; Measurement and Control Technology and Instrument; Mechanical Engineering and Automation; Electrical Engineering and Automation; Biomedical Engineering; Pre-school Education; Primary Education; Clinical Medicine; Accounting; Marketing; Finance Management; Electronic Business;; Mathematics and Applied Mathematics; Financial Mathematics; Physical Education; Sports; Entertainment; Civil Engineering; Engineering Management; Engineering Cost; Rural and Urban Planning; English; Japanese; Business English; Chinese Language and Culture; Advertising; Journalism; Computer Science and Technology; Electronic Information Engineering; Communication Engineering; Internet of Things Engineering; Pharmacy, Medical Imaging Technology; Medical Laboratory Technology; Music; Music Performance. Excellent students can get scholarship, or DND.